There is nothing wrong with free speech and promoting dialogue between different perspectives, but this group purposely upsets and rouses students for a reactionary purpose. They have graphic and traumatizing images comparing murdered children of the Rwandan genocide to aborted fetuses. This actively disgraces women on campus who have opted for abortions in the past and scars young women. These images are exposed to the thousands of students and members of the UBC community who pass by the Nest on a daily basis. This is hateful. UBC would not allow an anti-gay group to come on to campus and relay inaccurate information to vulnerable members of the community. This would be targeting, misguided and simply wrong. Last year, UBC punished a member of the student body for burning a Pride flag. It is in the UBC code of conduct that “assaulting, harassing, intimidating or threatening another individual or group” is prohibited. 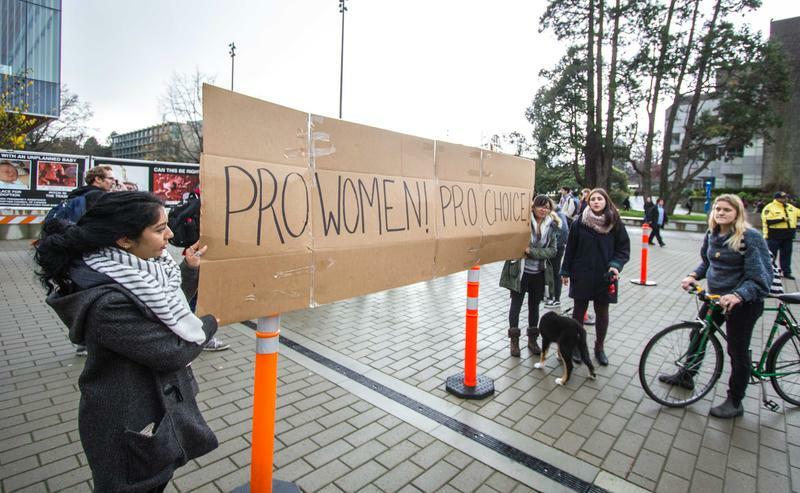 This group purposely intimidates young women, yet UBC does nothing. I don’t understand why this form of sexism is okay and as a result, UBC is sending me a pretty sad message by allowing this kind of action right in the centre of campus. My friend recently informed me that the University of Calgary had the same group protesting on their campus. But unlike UBC, UoC believed concealing these signs was a “reasonable limit on the students’ free-speech rights” and promptly gave them notice to vacate the property. I’m sure the majority of the student body would be more than happy to see the same thing happen here. So much for a safe space, UBC. Katie Radcliffe is a fourth-year student studying applied animal biology.